GOKPOP | Exclusive K-News in Malaysia & Singapore: [Exclusive] Han Ji-min Thanks Ji Sung for the Positive Energy He Brings On Set to "Familiar Wife"
[Exclusive] Han Ji-min Thanks Ji Sung for the Positive Energy He Brings On Set to "Familiar Wife"
The Thursday-Friday tvN's drama "Familiar Wife" is dominating the viewership ratings since its first episode aired in Korea. The captivating storyline and expressive acting made the story more personal and relatable, which explains why it has also received much anticipation across Southeast Asia especially in Singapore, Malaysia and Indonesia. The previous episodes have shown the bittersweet memories between Cha Joo Hyuk (played by Ji Sung) and Seo Woo Jin (played by Han Ji Min). The entanglements surrounding Joo Hyuk and Woo Jin that ties together the past and the present, and Woo Jin's confession has made a turning-point in the drama. The change in their relationship will immerse viewers in the drama even further. While eagerly waiting for the next episode, check out the exclusive written-interview with the main casts Ji Sung and Han Ji-min - taking about their chemistry and characters in Familiar Wife. Q: Tell us more about your characters in Familiar Wife. Ji Sung: Cha Joo-hyuk is simply a typical ordinary guy. He is sincere, responsible and has a kind heart but sometimes has this immature side which hurts Woo-jin’s feelings. Han Ji-min: Seo Woo-jin is a working mother who struggles between her job and her family. It’s quite fascinating to act such role for the first time, though I try to keep the character real and natural as the story itself contains fantasy. Q: Tell us your chemistry or teamwork with the co-stars. 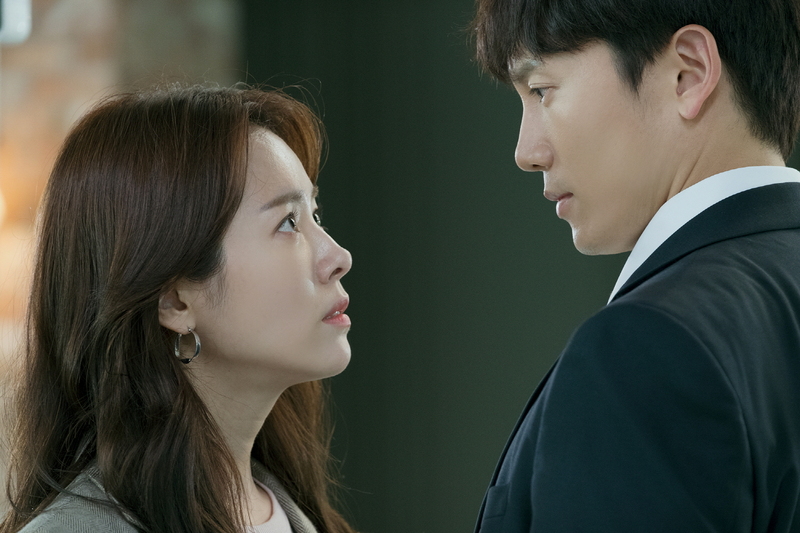 Ji Sung: I’ve had a strong faith in Han Ji-min from the start. Her straightforward personality reminds me of Woo-jin and she is perfect for this role. She is indeed a lovely and passionate actor in real life as well! Han Ji-min: Ji Sung is an actor I’ve always wanted to work with. He’s very reliable, confident and positive. I always thank him for giving the positive vibe to me as well, cheering me up all the time on set. Q: What comes into your mind when you first read about the script? Ji Sung: I carefully think about what kind of story the drama delivers and how I as an actor can make the viewers empathize with the character. Also, I sometimes objectively watch if there is any part I missed out on. Han Ji-min: I heard from many married couples around me that marriage contains numerous conflicts regardless of love. I could relate to both women and men. Though I have never experienced such, I’ve really looked forward to the excitement of expressing myself being in the situation through this drama. Q: You are well known for taking challenge in different roles through different dramas. This time, you will be playing as an ordinary employee in Familiar Wife. What attracted you to take this role? 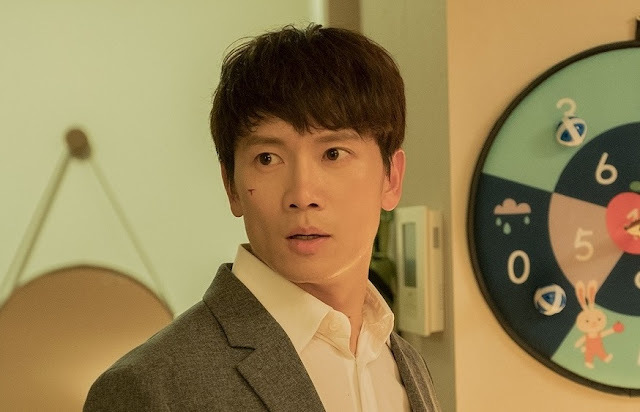 Ji Sung: During the days when I was new to acting, I wasn't sure of my own style so I have tried various styles but this didn’t built up my “own” character to be a long-term actor. Throughout the diverse spectrum of experience, it gave me another level of acting potential and this is what I am proud of. I’ve tried my best among uncertain future in my 20s. As for now, I can’t stop learning. I continuously train myself every day. I always feel there's always a room to be filled to be a great actor. Q: Do you find any similarities between you and the character, Cha Joo-hyuk? Ji Sung: Well, Joo-hyuk feels refreshed after playing games sometimes. For me jogging is my stress reliever and energizer. Even if I lack of sleep, I still go jogging. I can never skip it and I can certainly call it as a hobby that I can never give up. Q: You’ll be playing as a working mum in this drama. Tell us how do your approach to the role, Seo Woo-jin? Han Ji-min: Woo-jin’s occasional anger management issues due to excessive stress leads to lots of screaming, giving me some kind of catharsis while acting time to time. Q: Can you give us some hints as to what can the audiences looking forward to? Han Ji-min: The fantastical factor of the drama makes it possible to take free control of time. Through time lapse, you will have a chance overview your past, forgotten moments back in life again. Though this setting may seem too comical, you will be able to relate deeply with the characters as to what other paths you could have taken. Familiar Wife airs on tvN every Thursday and Friday at 9.45PM in Singapore and Malaysia. Catch the drama on Singtel TV 新电信电视 Ch. 518 / 619 or StarHub TV 星和视界 Ch. 824 or on-demand via Singtel TV GO or StarHub GO in Singapore; and on Astro Ch. 395 or unifi tv Ch. 211 or on- demand via Astro GO or unifi play tv in Malaysia with subtitles in English, Chinese and Bahasa Malaysia. 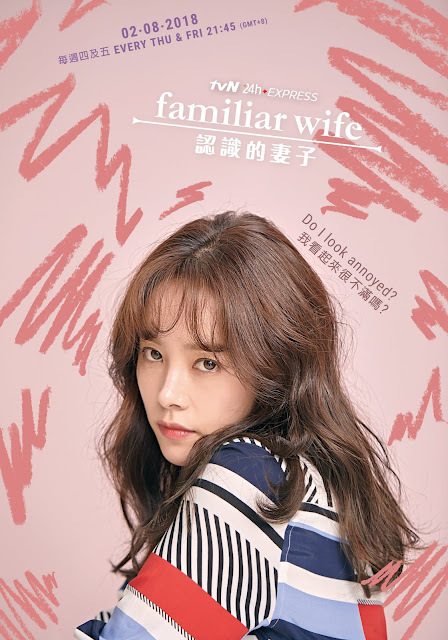 "Familiar Wife" talks about a married couple who's struggling in their 5th year of marriage. Cha Joo-hyuk (Ji Sung) is an ordinary employee at a bank who has to suppress himself in front of his boss and wife; his wife Seo Woo-jin (Han Ji-min) is a “working mum” who tries hard to juggle between her job and family. The cruelty of life has swept their good old days and drowned this ever-sweet couple in tediousness. At this critical moment, an unexpected incident gives Joo-hyuk the ability to move back and forth from his past. 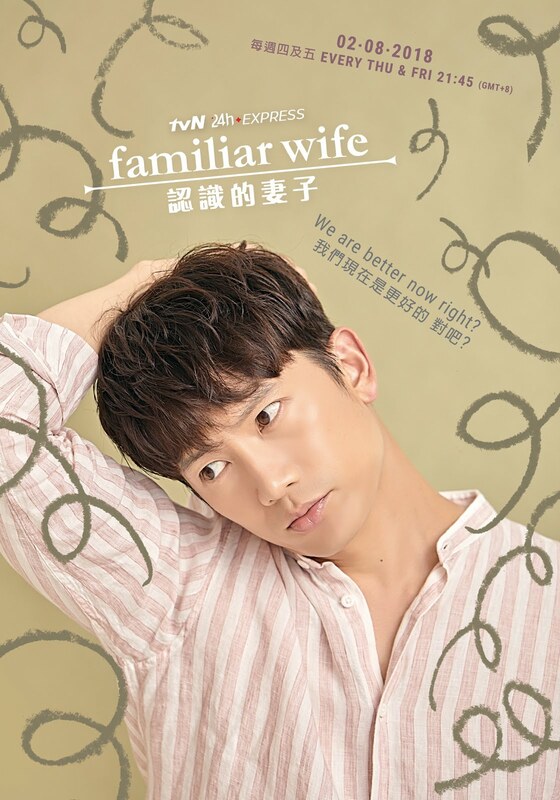 Familiar Wife draws keen attention to how this ability ultimately impacts his life as the story unfolds.